Regular visitors to my website may remember this memory invoking image of a Cap Ferret child photography session in Cap Ferret, Gironde. Whilst the weather here in England is beginning to turn and the sunny Autumn days are cherished before the onslaught of Winter, images like this one remind me of the warmth of the sun of my skin and a beautiful weekend on the Atlantic coast photographing Simon and Emile as well as Eva’s 50th birthday celebrations. I love this image because it sums up my memory of that weekend perfectly. Endless sunshine, gorgeous unspoilt white sand and a beach that never gets crowded, whatever the weather! 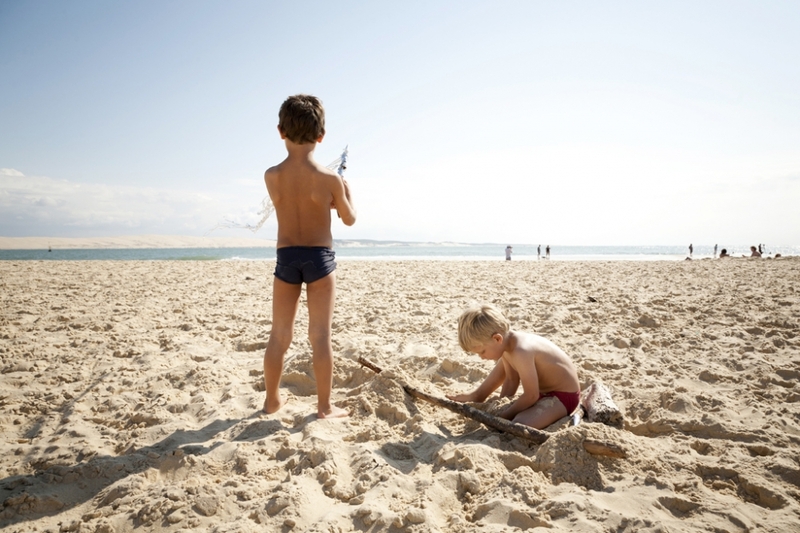 In this image Simon and Emile play on the beach at La Pointe while in the distance its eastern shore looks out on the Bassin d’Arcachon a vast, shallow lagoon famed for its oyster beds. Beyond, the always moving, constantly changing sands of Dune de Pilat, the highest sand dunes in the whole of Europe. If you would like me to photograph your family or special celebration, please email me at info@johnstarns.com, call me on 07790 634140 or use the contact form – hope to hear from you soon!